We have all been there. You suddenly hear a loud noise, turn your head, see a knocked-over box of toys scattered all across the room like a mined field and then you hear the feared lie coming out of your preschooler: “It wasn’t me!”. 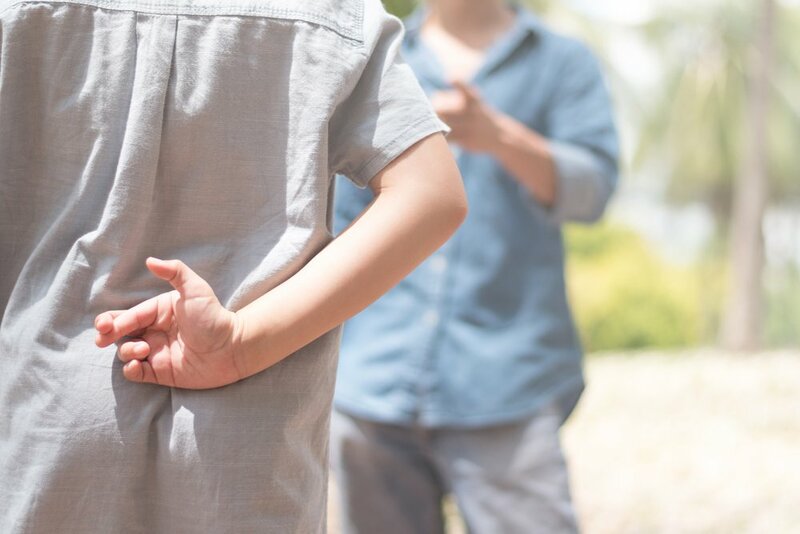 Don’t worry, although witnessing your kid lie for the first time can be unsettling, it’s important to know that this is a completely normal behavior in small kids. They are still learning the social and emotional skills that allow older kids to know that honesty is the best policy. Your kid might have indulged in a white lie for many reasons. It might be to avoid the consequences of a naughty action, because of her faulty memory-recalling, to avoid disappointing you when an accident happens, or because distinguishing reality from fantasy is still challenging at her age. Because these preschooler lies aren’t malicious, they shouldn’t be a cause for either concern nor punishment. Your daughter will soon outgrow the need to lie, especially if you surround her with honesty and trust. Meanwhile, you can nurture the development of honesty in your child by making it easy for her to tell you the truth. Show appreciation for her honesty, helping her remember the whole truth of a story, and, above all, trust your kid and model truthfulness. Can my child start eating independently and tackle new milestones?